When a person is banned from playing at a casino, the casino..
must protect the player. Most casinos across the country have a list and if you are included for some reason by the casino or if you place yourself on the list, the casino must make sure that you do not gamble. The Revel Casino in New Jersey recently had to pay a large fine due to letting two men who were blocked from game play to play the game of blackjack. The New Jersey Division of Gaming Enforcement filed a complaint which stated that the casino allowed two men to play blackjack from July to August of last year even though the two men were on the banned gamblers list. The casino must now pay $27,500 due to the incident. In total, the casino must now pay $37,500 in fines for four different charges for this month. The violations include the blackjack charges and failing to follow the rules for the table game drop boxes collection. The casino has yet to comment on the incurring fines. The largest fine in the bunch is from the two men who were able to take part in the gaming without being flagged as on the banned list. The gamblers are named AD and PY in the case documents. 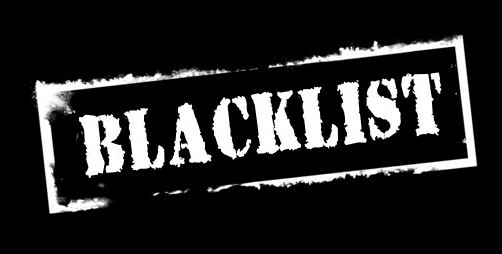 PY was listed as being banned since 2005 and he was able to gamble due to a misspelling of his name on the banned list. AD was put on the list by his person in 2006 and was given a cash advance last year for $5,000 and was able to play blackjack for three hours before he was found at the casino. It was not until a third cash advance attempt that the player was determined to be on the list and was excluded from game play but by then it was too late.